Before you start thinking about content marketing, it is critical to know who you want to reach, and what they care about. Developing buyer personas will help you focus your efforts. The more detailed you can get when creating your buyer personas, the better. 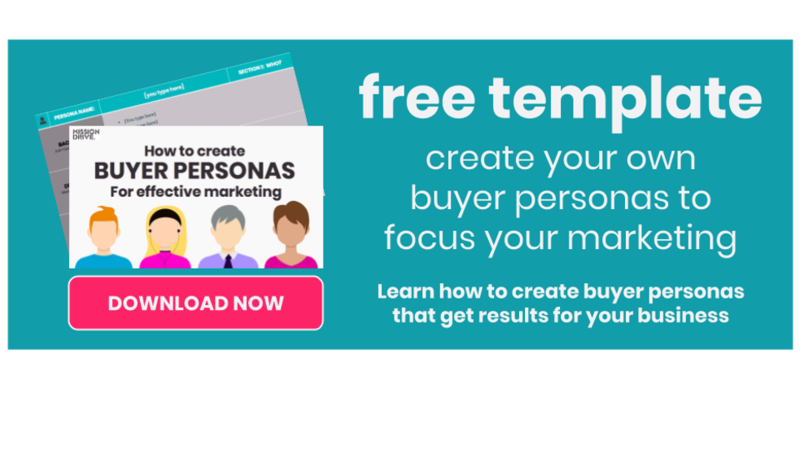 You may have several types of buyer personas, for each of your market segments, each with their own unique characteristics, with a variety of problems they need to solve. In order to capture specific information about your ideal customer, you’ll need to do research. Make a plan for how to get to know your model customers and develop personas. We suggest sketching out an overview then supplementing that with insights drawn from conversations, surveys and feedback from your clients. You might also want to talk to your product teams as they may have personas they’re using to guide how they develop your products and services. Following a structured development process is essential, as is asking and documenting detailed information. Here are 20 questions to get you started. 1) Describe their personal demographics. Collecting demographic information is a great place to begin drafting your personas because it starts to paint a clearer, more personal picture of your customer. Are they married? What’s their annual household income? Where do they live? Are they male or female? How old are they? Do they have children? 2) Describe their educational background. 3) Describe their career path. How did they end up where they are today? Did they study a subject that’s very similar to or very different from their current role? Has their career track been pretty traditional, or did they switch from another industry? 4) In which industry or industries does their company work? 5) What is the size of their company (revenue, employees)? Knowing details about your persona’s company like industry, size, number of employees, and other details will help you when you’re building the fields for your landing page forms. 6) What is their job role? Their title? 7) Whom do they report to? Who reports to them? 8) How is their job measured? What time do they get to work and what time do they leave? What do they do when they’re most productive? What does their “busy work” look like? This should include both the tasks they do for their job, as well as what happens during the day outside their job. Are they spending more time at work or at home? Where would they rather be? What do they like to do for fun? Who are the people in their life that matter most? What kind of car do they drive? Which TV shows do they watch? Heck, you might even consider what outfit they wear to work. Jeans or suit? Get personal here. 10) Which skills are required to do their job? 11) What knowledge and which tools do they use in their job? Which applications and tools do they use every single day? Every week? Understanding what products they love (and hate) to use can help you identify common features in your product (and adjust your positioning accordingly). 12) What are their biggest challenges? For example, let’s say your company sells cloud-based data analytics tools directly to individual contributors. One of your personas may be a first-time analytics user. What are the pain points of first-time users? They’re probably intimidated by the prospect of doing an analysis by themselves, or overwhelmed by a dataset they don’t understand, and confused about where to start. These pain points differ from those of a seasoned data scientist, whose pain points may be not having full access to the data they need or getting access to higher processing power. 13) What are they responsible for? 14) What does it mean to be successful in their role? What can you do to make your personas look good? Companies that take the time to understand what makes their personas successful will likely enjoy more effective communications from both their sales and marketing teams. 15) How do they learn about new information for their job? 16) Which publications or blogs do they read? 17) Which associations and social networks do they participate in? 18) How do they prefer to interact with vendors? 20) Describe a recent purchase. Why did they consider a purchase, what was the evaluation process, and how did they decide to purchase that product or service? If you can anticipate the objections your persona will have, you can be prepared for them in the sales process and perhaps even educate them in your marketing collateral to help allay fears right away. What might make them reticent to buy from you or any other provider in your industry? Is this their first time purchasing a product or service of your kind? If not, what caused them to switch products or services?